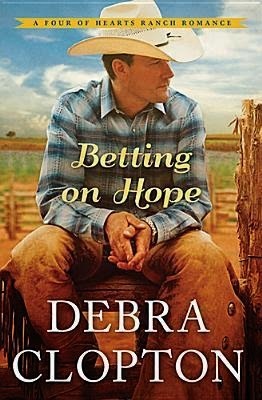 Just when I was in the mood for a sweet romance, Betting on Hope came along. Filled with characters that pull you right into their world, this was another one night read. Thank goodness that wrestling season is winding down so that I can catch up on some sleep on the weekends! This book is filled with not only wonderful primary characters, but secondary characters that sometimes steal the scene, but in the end, it all comes together. Debra Clopton is another author who rarely has anything more than a home run and this book isn't any different.